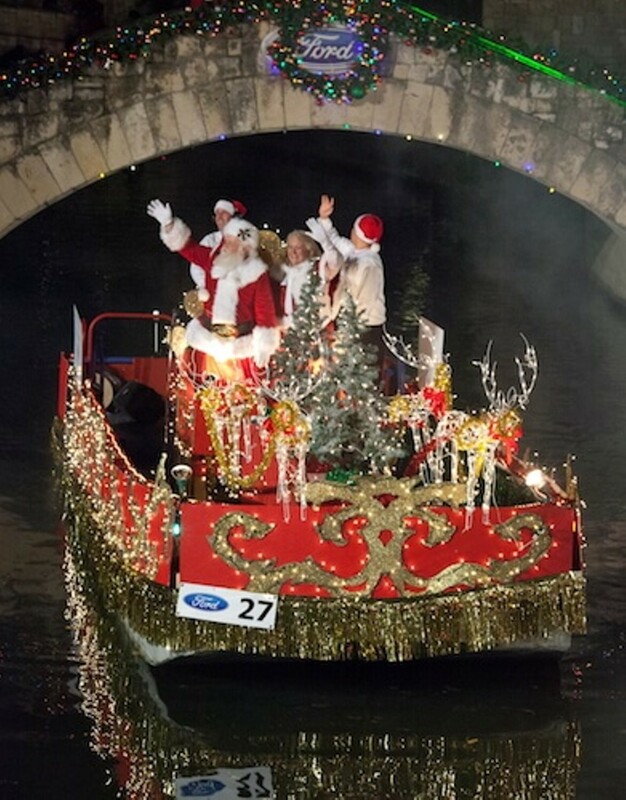 A fun family event filled with holiday themed boats, music, entertainment, dining and festive lighting along the River Walk. Pay for a seat or watch from a free viewing area with your own chair. Free viewing areas are available on a first come, space available, basis and are located on the North side of the River Walk between Lexington Ave. and Richmond Ave., the South side of the River Walk between Richmond Ave. and Navarro St. and the South side of the River Walk between Navarro St. and N. St. Mary’s St.